Getting started on your application to NC State is easy, but how you apply depends on who you are — and where you’re coming from. Meet with an admissions representative to learn about the admissions process and life at NC State. If you’re currently enrolled in high school, then you apply to NC State as a freshman applicant (also called a “first-year applicant”). The same is true if you’ve already graduated high school but have not yet taken any college courses. At NC State, “freshman applicant” does not describe your credit standing; it just means you have never enrolled in college courses outside of high school. Both the Common Application and the Coalition Application use the term “freshman” for first-year applicants. Ready to run with the Pack? Apply now. See what’s involved in getting here, and start getting ready. Learn about our holistic approach to reviewing every application. 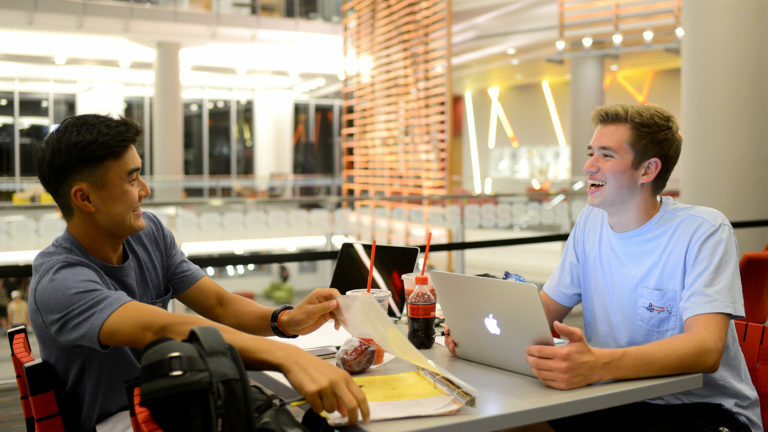 Find out what it takes to complete an application to NC State. Ensure you’re credited for any college-level work in high school. Meet with an admissions representative to plan your path to NC State. 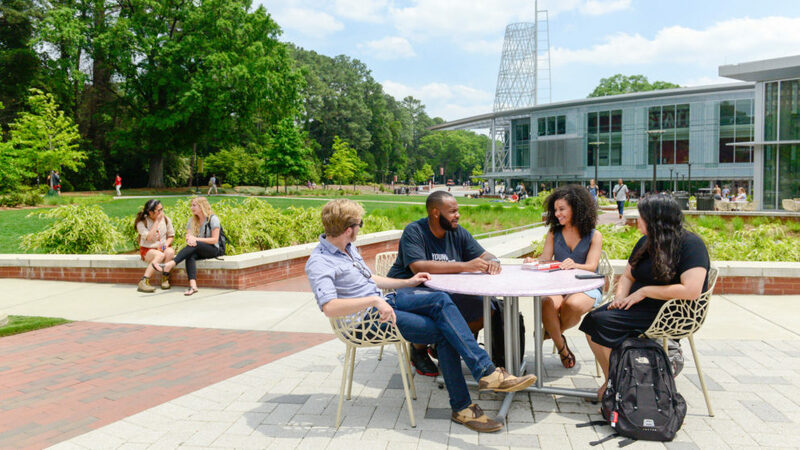 If you’ve already begun your college education at a community college or another university, then you’re considered a transfer student when you apply to NC State. Don’t worry, you’re in good company: Around 20 percent of our current students studied elsewhere before making NC State their home. Make the switch. Apply to NC State. Discover the steps involved in switching to NC State. Learn how we review your application and make our decision. Find out how to submit a competitive transfer application. See how we count college courses you’ve already completed. Find out when an NC State representative may be visiting an area near you. If you are a not a U.S. citizen or permanent resident, you should apply as an international student. 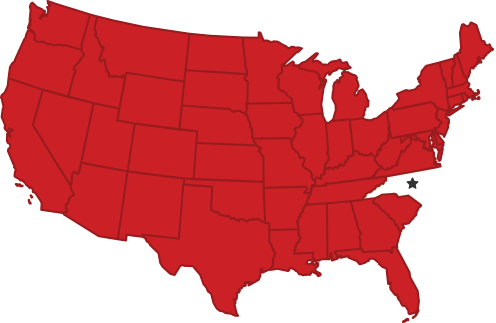 To apply to NC State, you must have completed a program of study that would qualify you to attend university in your home country. International applicants can identify as either a freshman or transfer applicant as defined above. NC State welcomes students from around the world, and we celebrate the perspectives they bring to our campus. If you have any questions, the Office of Undergraduate Admissions has a dedicated team to help you. When you’re ready to to apply, choose one of the applications below. 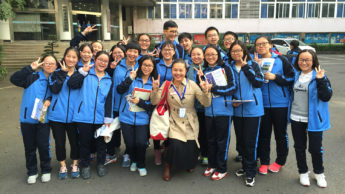 Find out how to come to NC State as an international applicant. Learn what we are looking for. Get step-by-step help to complete the application process. Find out if your college-level work from a U.S. university will transfer to NC State. 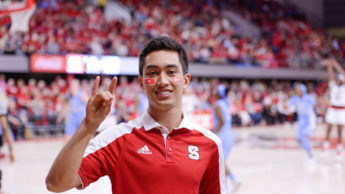 Not every potential Wolfpack student falls neatly into the three categories above. If you think your application may be a special case, explore these other possible routes to NC State. If you’re attending an early college high school and earning transferable college credit, here’s where you begin. You don’t have to get a degree to get an NC State education. Learn about our part-time, non-degree offerings. NC State has a long and proud tradition of serving the needs of veterans, military personnel and their families. If you’ve previously attended NC State, find out if you're eligible to apply for re-admission and pick up where you left off. Admission to NC State is highly competitive, and all the dates and deadlines can be daunting when you’re coming to college for the first time. Because your application must be complete before it can be processed, we want you to apply as soon as possible. That way, we’ll have time to tell you if something is missing.